As your eyes navigate across this line of text, are you aware of the physical process taking place? Probably not. For proficient readers, the physical act of reading happens effortlessly and automatically. But for many of our struggling readers, the physical act of reading is inefficient and exhausting. These readers expend energy on the process of reading, rather than on comprehension. How can we expect our students to learn from reading--and enjoy what they are reading-- if the act of reading is physically difficult for them? Current research shows that people who struggle with the physical act of reading are more likely to become disinterested in reading, lose reading confidence, and often avoid reading altogether. And as we know, students who don’t read do not become better readers. Those who read less frequently also tend to have smaller vocabularies and more limited world knowledge. So how do we help students master the physical act of reading? In many pursuits, training good form and good technique is fundamental to attaining mastery. For example, when a student takes piano lessons, proper techniques and habits are modeled and encouraged from the very first time he or she sits by the instrument. Students learn that certain keys must be played with certain fingers. The appropriate positioning of fingers allows pianists to move easily and accurately to new locations on the keyboard. This efficiency in playing--the habit of placing the fingers in just the right place without having to think about the position--allows the pianist to focus attention and energy on reading the notes and expressing the music. Reading works in a similar fashion. Before we can understand what we have read, text must enter the brain via our eyes in a rapid and orderly manner. This process, too, needs to become effortless and efficient to allow readers to focus their attention on what is read rather than how it is read. Like playing the piano, the physical process of reading can be trained. Therefore, comprehensive reading instruction should deliberately address proper form and technique when taking in text. Developing readers need to master three key aspects of the physical act of reading: (1) They need to be able to navigate their eyes across lines of print systematically and sequentially (from left to right in English); (2) they need to be able to visually process words correctly; and (3) they need to be able to do these things rapidly and effortlessly for extended periods of time. 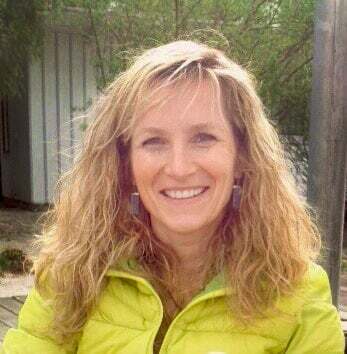 Technology provides particularly innovative opportunities and solutions to help students develop these critical skills. The ease with which our eyes move across lines of print, how sequentially and fluently we take in information, and how strenuous the reading process is, will affect how long we read, how often we read, and the value and pleasure we take away from what we read. For both musicians and readers, the first step to mastery--and the joy that comes with it--is a physical one. 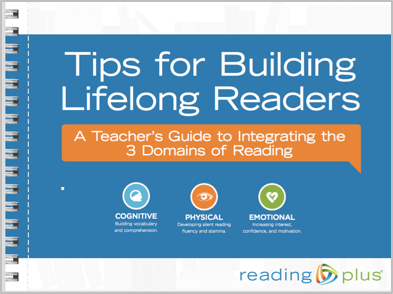 For more tips on the Physical domain and how to build lifelong readers, download a free chapter from “Tips for Building Lifelong Readers: A Teacher’s Guide to Understanding and Integrating the 3 Domains of Reading.